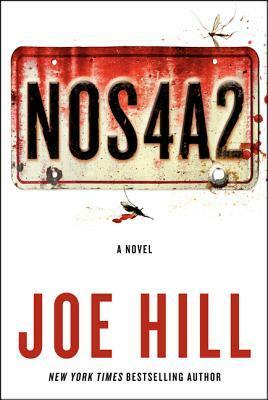 I listened to NOS4A2 on my Audible app. As a life-and-death battle of wills builds her magic pitted against his – Vic McQueen prepares to destroy Charlie once and for all…or die trying…. It’s hard not to compare Joe Hill to his father, Stephen King. There are so many similarities in the way that they write their stories, but in a very good way. Hill describes characters and scenes so well that every part of the story comes alive, and it’s creepy for sure! The story is written in third person, from multiple perspectives. The way it was executed was pure perfection. All the characters in this book was what made it such a treat for me. Hill makes his characters come alive and they develop so much throughout the story. Vic: It’s easy to relate to Vic even though she’s all kinds of screwed up. I really do enjoy characters that feels real, unpolished and far from perfect. They always make for a much more interesting story. Vic is a character you can’t help but love, even though she makes you so frustrated you could eat your own hat! Charles Manx: I’m glad I was introduced to Manx as an adult. Had I met him earlier in my life, I’m pretty sure he would have haunted my worst nightmares. He’s a truly horrific character, written perfectly. I shivered and cringed at times when Manx was up to no good. NOS4A2 is a story that keeps you on the edge. Even though it tells a lot of backstories it’s never boring, and it surprises you again and again. I caught myself being bewildered about not having any clue as to where this story would end up. Full of twists, turns and dark places. And the ending was very satisfying! This is horror done right! Christmas is my favourite time of year, and I don’t think that will change anytime soon. But even though this story is wonderfully creepy, Christmas music will never be the same again! This story stays with you. I still think about Christmas land from time to time, and then I turn on the lights. Highly recommend, but it’s not for the faint of heart! I look forward to diving into more of Joe Hill’s work.